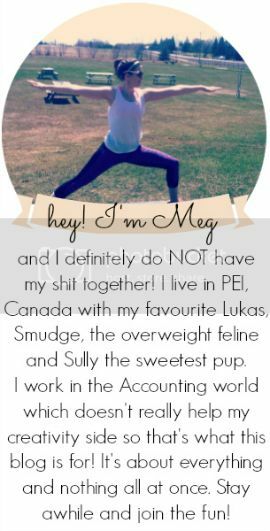 you're meaghan me crazy: happy holidays(blogger and N'SYNC style) blogmas day 12 ! happy holidays(blogger and N'SYNC style) blogmas day 12 ! soooo wanna see the most hilarious video ever? annnd possibly the most embarrassing thing I have ever put on the internet. this video seriously rocks but I wish my part was a little better. make sure to stop at Sar's blog and tell her how AMAZING she is for coming up with this and editing everything and seriously doing all the work for it, she rocks!! make sure to check out all these awesome ladies who took part! I think you're sooo super adorable in the video! I can't stop watching it lol, it's so funny! You have the cutest blog ever! So glad we got to meet through the project - you have the cutest blog! Oh - and your blog's name? The funniest thing I have heard in a while. Love it so much! Could you be any damn cuter? Seriously, you guys did a really great job. Thanks for the morning laugh. This is so awesome! What a fun thing to be part of! Hahaaha I love this!!!!!!!!! AMAZING! I'm so sad I missed out on this but you did a great job and so did everyone else. Merry Christmas, Happy Holidays to you!